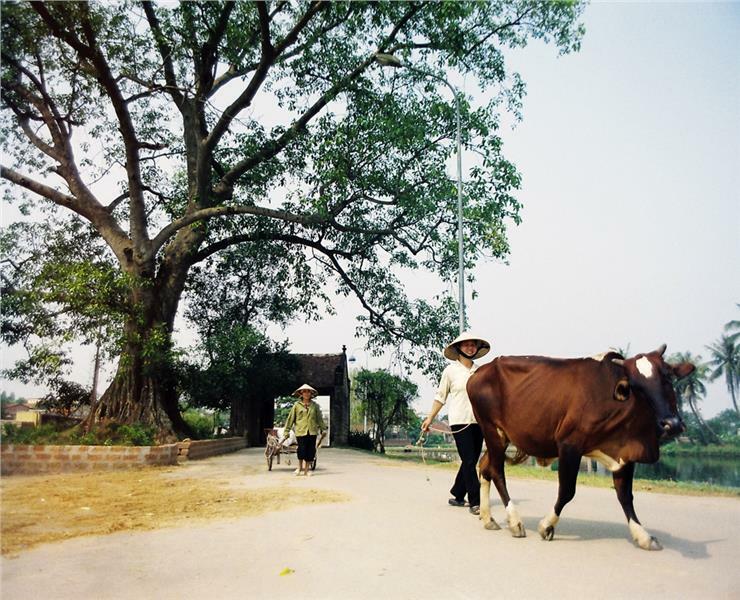 Far about 50 km from Hanoi city center, Duong Lam Ancient Village is situated in Son Tay town, Hanoi. It is one of the most unique ancient villages in Hanoi. The village has been considered as the unique laterite museum with mossy ancient houses dating back over 400 years old. 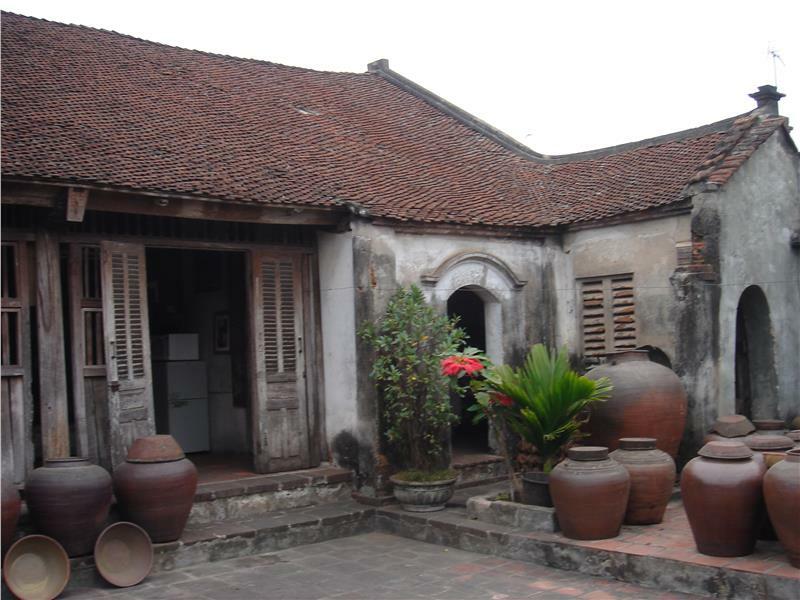 If considering Hanoi Old Quarter and Hoi An Ancient Town are museums of urban lifestyle, Duong Lam Ancient Village is the museum of rural lifestyle and agricultural one. A visit to Duong Lam Village is also the journey to the origins of culture and traditions of Vietnam. This is also an opportunity for tourists to admire the unique architectural features of the ancient houses, visit the temples of two kings born from Duong Lam Ancient Village and engage in conversation with the locals in their own ancient houses. Discovering Duong Lam Village is one of the most impressive things to do in Hanoi. As one of the fascinating tourist attractions in Hanoi, Duong Lam Ancient Village consists of 9 small villages, namely Mong Phu, Dong Sang, Doai Giap, Cam Thinh, Cam Lam, Phu Khang, Ha Tan, Hung Thinh and Van Mieu in Son Tay city. The ancient village is adjacent Phu Thinh ward - Son Tay to the east, with Cam Thuong commune to the west, with Thanh Ky commune and Xuan Son commune to the south and with Red River to the north. With an area of 800.25ha, Duong Lam Ancient Village is the cultural space having preserving the quintessence of traditional cultural features of Vietnamese people. It is an indispensable tourist site in the journey of exploring Hanoi travel attracting tourists who prefer to discover the unique ancient architectural characteristics. Once setting foot on Duong Lam Village, tourists will actually get unforgettable memories. Duong Lam Ancient Village is one of the architectural ensemble strongly inspiring Vietnamese culture. It is the most ancient village in the North with its history of more than a thousand year of development. In order to enter the ancient village, tourists will pass through the village's gate made of wood, which is typical of Northern village with the porticoes curved-shape roofed. The village retains the closed structure with a main road, from which radiates around the corner of the village. Surrounding the village is the system of ponds creating charming scenery. In particular, on hot days, this pond system is the air conditioning helping the atmosphere become much more comfortable. The village preserved the large number of the ancient houses built with laterite and ironwood pillars giving rise to the ancient beauty for Duong Lam. It is the unique characteristic has turned the Duong Lam Village into one of most impressive Hanoi attractions alluring tourists. Duong Lam Ancient Village today still retains many ancient houses characterized by the folk houses at Red River Delta. Accordingly, Mong Phu Village owns about 100 ancient houses. The number of these kinds of houses in Cam Thinh Village, Doai Giap Village and Phu Khang Village is respectively 17, 8 and 13. They are typical ancient houses having still remained largely intact ancient architectural style. It is a kind of house built with materials of wood, laterite with its interior and exterior also retaining its original design. The houses dating back over 200 years account for about 5%, the rest mostly dates back less than 100 years. 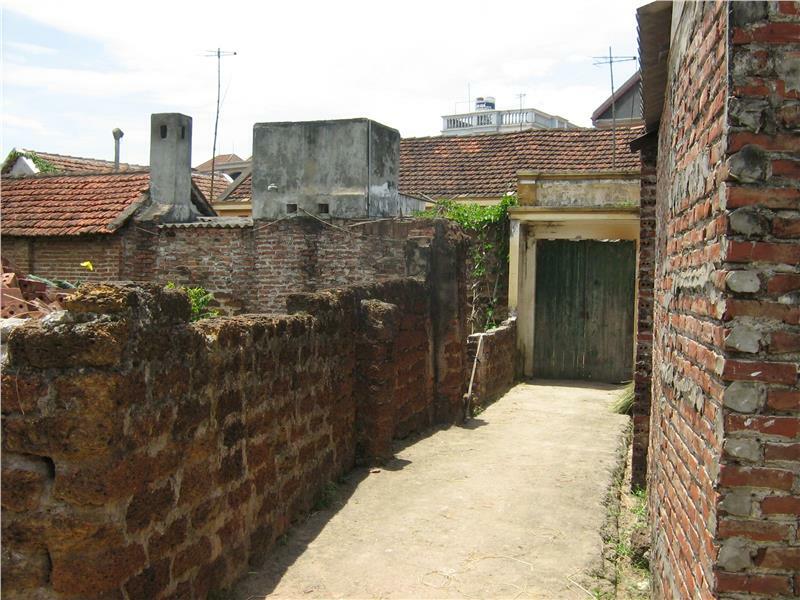 Most old houses here have maintained gate, fencing, courtyard, garden, main house, outbuilding, kitchen, ranch... which are very familiar with the ancient village in Thang Long - Hanoi but could hardly find elsewhere today. The unique culture features is worth to bring Duong Lam Village to become the appealing tourist site in the journey of discovering Hanoi tours. Duong Lam Ancient Village is home to converse most typical ancient houses in Hanoi in particular and ancient villages in Vietnam in general. It can be considered as a traditional living space of the agricultural residents which has not been affected much of the urbanized lifestyle. Taking a stroll along the streets in the village, tourists will find it easy to catch the lateric walls, brick walls and rows of areca in the garden in harmony with the peaceful natural landscapes. It is the cultural site inspiring the characteristic beauty of the ancient village in the mountainous areas, a living museum having great appeal for tourists. 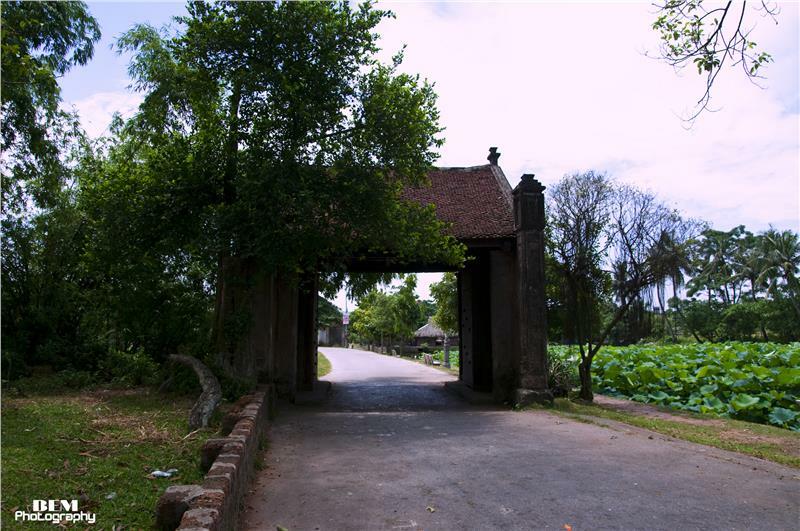 Duong Lam Ancient Village displays its important contribution in promoting Hanoi tourism to domestic and international tourists.